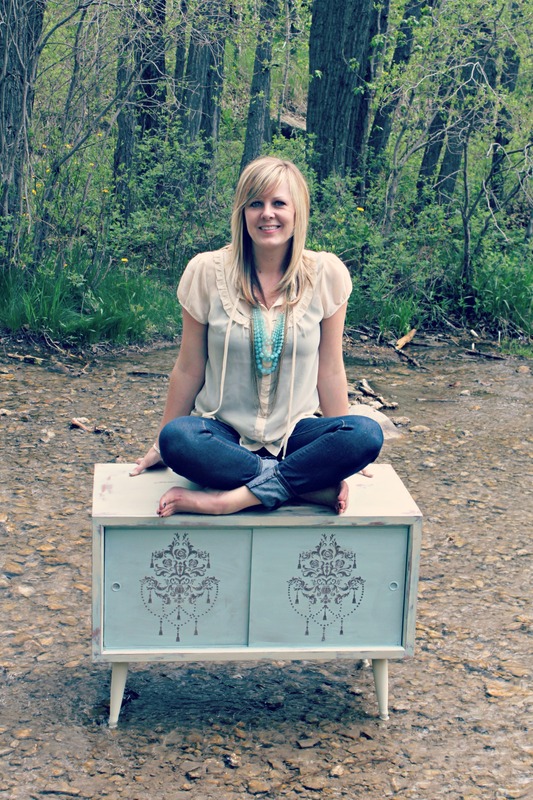 Mama, Vintage lover and DIY’r extraordinaire Ava from Ava Blake Creations is a trick of all trades. 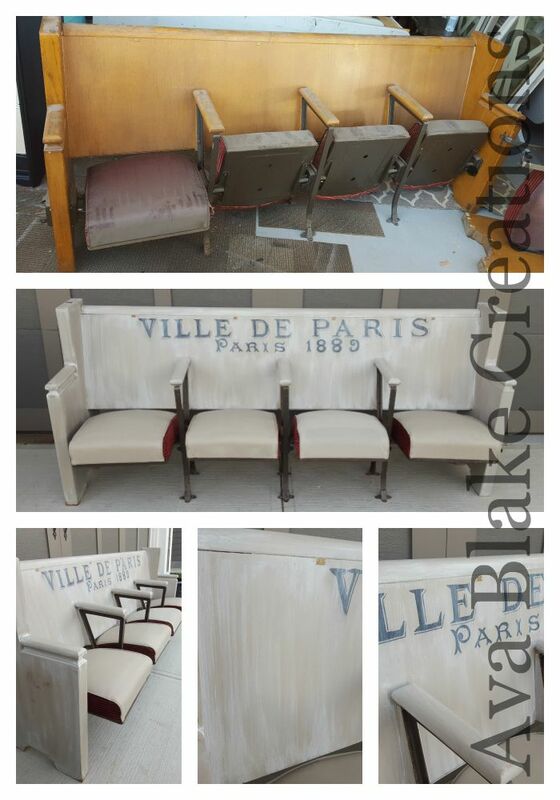 If you are looking for that perfect reclaimed vintage piece for your home she’s your gal! If you thought her stuff was wonderful, just wait till you see her little known interesting fact. This woman is an angel! 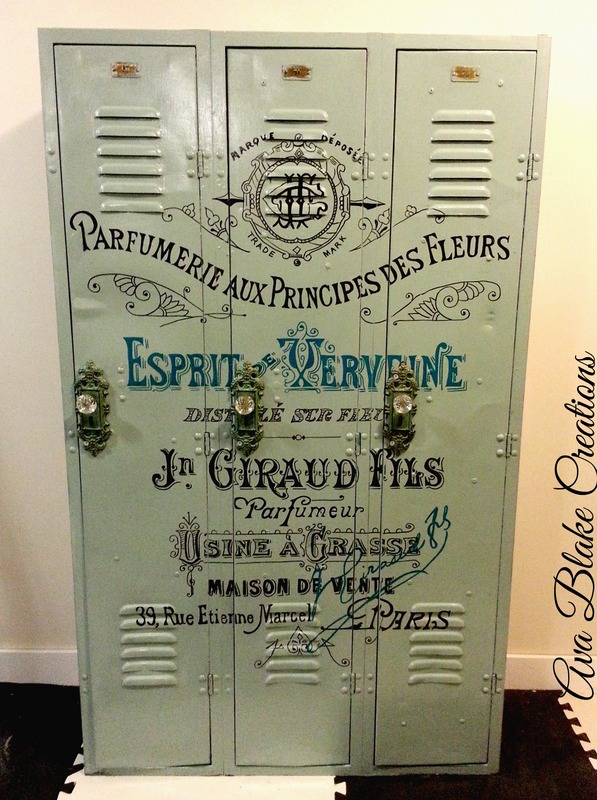 I’m Ava Blake Creations and I’m known for re-creating furniture with my hand painted vintage graphics. I also re-create anything that rolls through my studio, like light up signs, barnwood fabric and an array of furniture pieces from new to old. 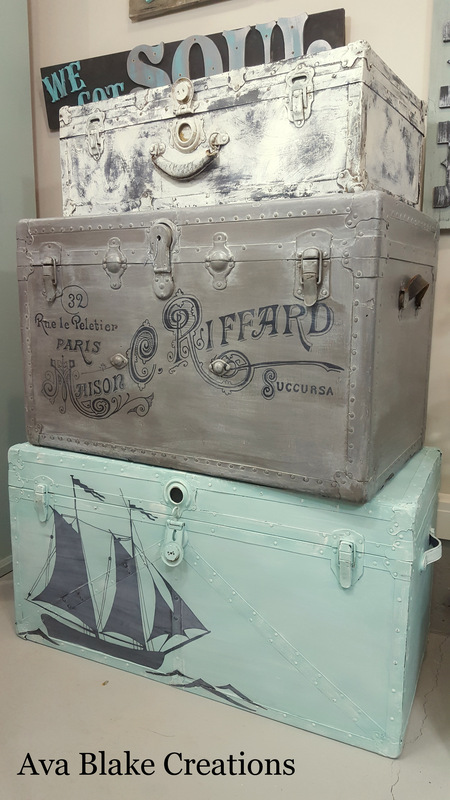 On top of this I run a DIY Studio, I retail Canadian made Fat Artisan Style Chalk Paint and Fusion Mineral Paint, I teach various classes on using both of these products. I’m also co-host to The Alberta Dames Modern Vintage Markets held twice a year and co-designer of The Alberta Dames Stencil and Glaze line. This will be my 3rd year in business with the DIY paint lines but I have been re-creating furniture for 9 years. The Alberta Dames were born in 2014. I started out flipping homes and learned to decorate through trial and error. I was bored of the same brand new homes all looking the same so I started bringing character in through vintage pieces. From there I started re-creating furniture through old school processes until I found the easier way through chalk paints. I started a blog about my creative journey. BAM my world changed from there. I was being featured on various worldly websites for my hand painted graphics. I blogged about a Chalk paint brand I tried, the president of the company saw it and wanted to meet me. We met, fireworks went off and within 6mths I was a DIY studio. From there I have taken numerous courses on how to perfect my artistic technique from world known faux finishers. Wanting the need for more FUN based unique modern vintage markets The Alberta Dames jumped into the vintage market scene in 2014. I’m a total sucker for the circa 1940’s era and anything French! 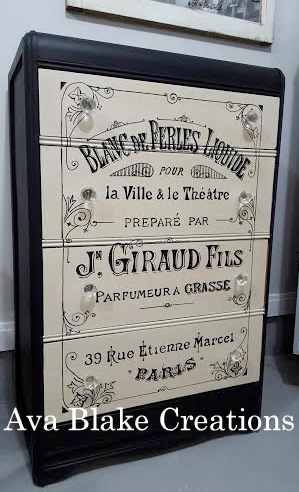 Even a French plumbing advertisement has thee most beautiful fonts! Obviously anything French or European flair inspires me but running away to the mountains/nature also gets my inspiration fired up! Ooh, I dream to see my work all over the world. I also dream to be known for huge belly laughing unique modern vintage markets. My blog is my core. I can say what I want and how I want and still get to communicate with all my followers then share it with facebook, instagram, pinterest etc. Instagram is fun too! I like to be fearless in my creativity; I think if you don’t throw your true self out there and be vulnerable you’re missing out on half the fun! I’m pretty prepared if things go wrong! In saying that of course we all have…in hindsight some bad choices/pictures etc. I like to get out with my girlfriends over wine and deep fried pickles and laugh/cry/wine/lay it all out, feel better and carry on. Such is life, right? One thing I don’t go around telling everyone is that I’m a living organ doner. I donated my kidney to my daughter when she was 8 yrs old. I’m actually very well versed in the medical field and have had quite the medical journey within my family. On a daily basis I actually have to use my serious brain in math and various medical schedules and I deal with a large team of medical professionals. This makes my creative time even more cherished. I have done quite a few public speaking events/engagements on the topic of Kidney Disease as well as charity work with Children’s Wish Foundation, and Kidney March. You can punch my name in google along with kidney disease and see quite a few articles about my family. GAH, only one? I would say to stop or slow time. If I could fit all my real life/kids/family AND stay on top of all the creative things I want to do…that my friend would be perfection!